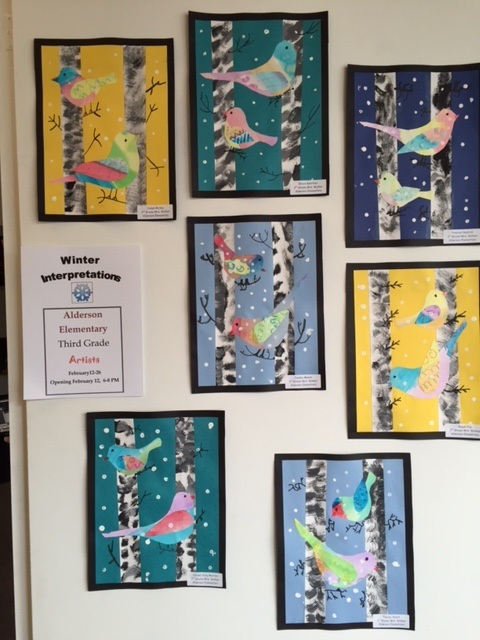 The Alderson Artisans Gallery is a non-profit project of Alderson Main Street. 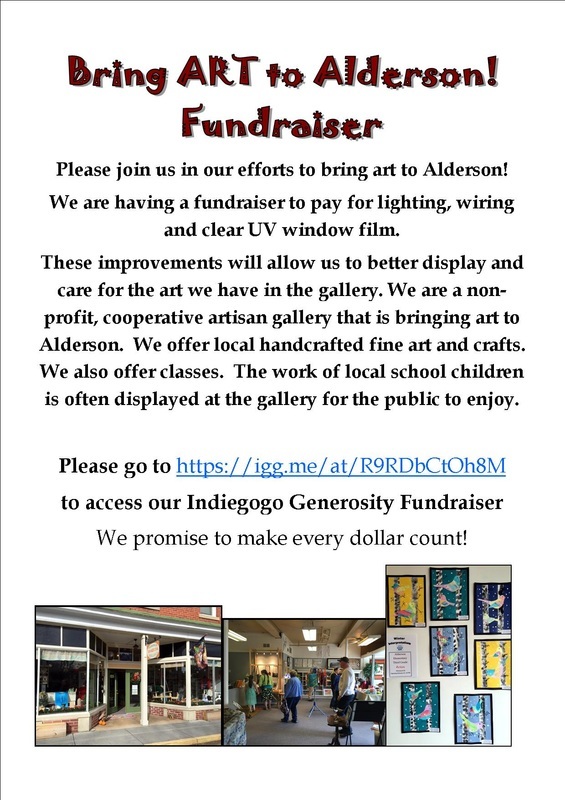 Our goal is to bring quality and affordable art to the Alderson area and to support local artisans, provide art classes and offer a venue for children's art shows. 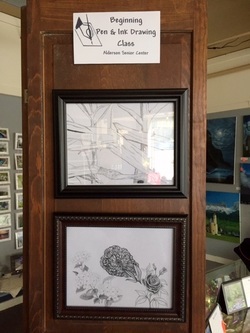 We need help with improving our gallery space and with continuing to involve the community in the visual arts experience. Donations are tax deductible and can be mailed to Alderson Artisans Gallery PO Box 866 Alderson, WV 24910. Donations of any size are greatly appreciated! Our current goal is to maintain the quality of the gallery and continue to be open through the winter months!